Our Fourth of July was a little bit different. Since my brother in law got married the day before on Sean’s cousin’s birthday, we celebrated it on the Fourth up in park city. And if you couldn’t tell from our picture above, he wanted a How to Train Your Dragon party. Everyone dressed up as Vikings for the party, and some even spent most of the day finishing their cosplays. And though we were going to wait till later in the evening to get ready, we all were too excited so we got into costume early. The young birthday boy was dressed as Hiccup and his mother was Valka who is Hiccup’s mother in the series. 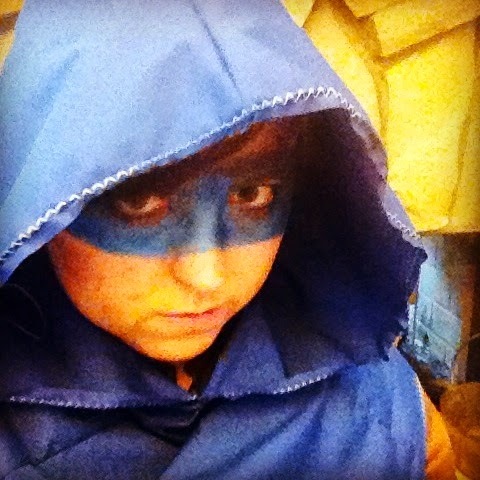 I dressed as what I called a Mage and my sister in law did a mask across my eyes to make me more mysterious. It stayed on all night! 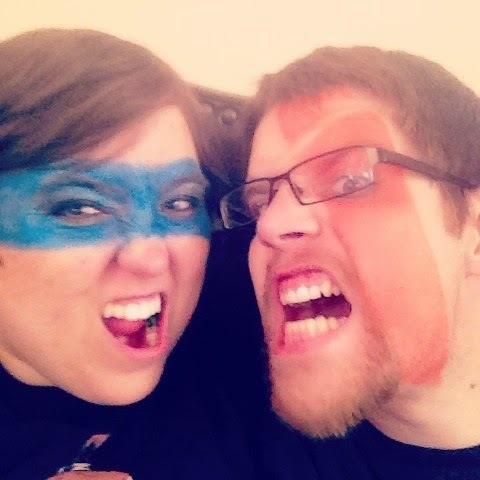 Sean had some cool war paint on his face too! Before the real fun started, we had the young viking open presents and had cake. Before every present we would pound the table and yell for our viking lord. We were sure if the neighbors heard us or even saw us they might be terrified! After the cake we went outside and filmed us running after villagers and having sword fights with foam noodles. It was so much fun! We watched the video footage of it afterwards in slow motion. Needless to say it was hilarious! Though we didn’t celebrate the Fourth in the traditional sense, our cosplay adventures were a blast and it was the best Fourth that I’ve had in a long time! P.S. The name of where the vacation house is at is called Nordic Village, such a happy coincidence! We knew that we had to take a picture next to the sign in our costumes or we would regret it!